The recall, which is Chrysler's third since last week, addresses a serious fuel tank assembly problem that affects nearly 1,800 model-year 2013 Chrysler 200 and Dodge Avenger cars. Chrysler has announced the recall of 1,785 model-year 2013 Chrysler 200 and Dodge Avenger vehicles to address a possible fuel tank issue. Affected models may contain a broken control valve in the fuel tank assembly, which could result in engine stall or fuel leakage. An engine stall may lead to a crash, while fuel leakage may result in a fire, according to the National Highway Traffic Safety Administration. There have been no reports of accidents or injuries related to the safety recall. The vehicles in question were built from October 30 to November 2, 2012. Chrysler will begin notifying owners of the recall in March. Authorized Chrysler dealers will inspect the fuel tank assembly and replaced control valves, free of charge. In the meantime, Chrysler 200 and Dodge Avenger owners can contact Chrysler at 1-800-247-9753 or online by using Chrysler’s Recall Search tool. Concerned drivers may also contact the National Highway Traffic Safety Administration’s Vehicle Safety Hotline at 1-888-327-4236 or online at www.safercar.gov. In addition to providing free recall repairs, Chrysler will also reimburse owners who incurred out of pocket repair expenses. In order to qualify for reimbursement, Chrysler asks that owners send the original receipt and/or proof of payment for expense confirmation. 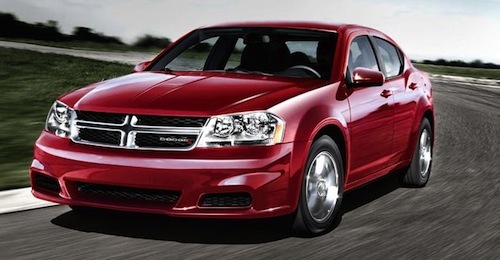 Thursday’s recall of the Chrysler 200 and Dodge Avenger comes just one week after Chrysler issued a massive recall of 360,000 SUVs and pickup trucks to fix a rear axle problem. The recall concerns 2009 Dodge Durango and Chrysler Aspen SUVs, 2009 to 2011 Dodge Dakota and 2009 to 2012 Dodge Ram 1500 pickup trucks. Affected vehicles may contain faulty rear axle pinion buts, which may become lose due to the absence of an adhesive patch. As a result, the axle hay lock up and cause loss of vehicle control. The recall is an expansion of Chrysler’s September 2012 recall that involved 44,000 pickup trucks. Chrysler also recalled over 3,600 model-year 2003 and 2004 Dodge Vipers last week to address a dangerous airbag problem. According to NHTSA documents, certain vehicles contain a faulty airbag control module, which may fail and cause airbags to inadvertently deploy. Chrysler’s Dodge Viper recall concerns cars manufactured from November 1, 2001, through June 30, 2004. Unlike the Chrysler 200 and Dodge Avenger recall, Chrysler has received numerous counts of injuries related to the Dodge Viper recall. In fact, the Detroit automaker received 87 reports of inadvertent airbag deployment, 50 of which resulted in injuries. The injuries included instances of cuts, burns and bruises to the driver’s upper body.